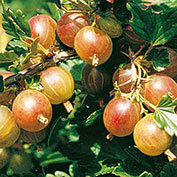 Pixwell Gooseberry | Gurney's Seed & Nursery Co.
Big green berries ripen to pale pink for tempting pies and preserves. Bears the second year, yields 4-6 qts. a year at maturity. 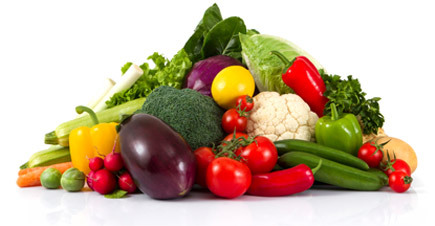 Easy to pick; withstands drought. Self-pollinating. 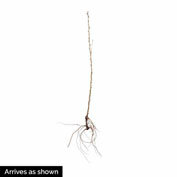 Depth: Plant so the roots are below soil level. Yield: Up to 4 - 5 quarts at maturity. Foliage: Glossy dark green to purple foliage. 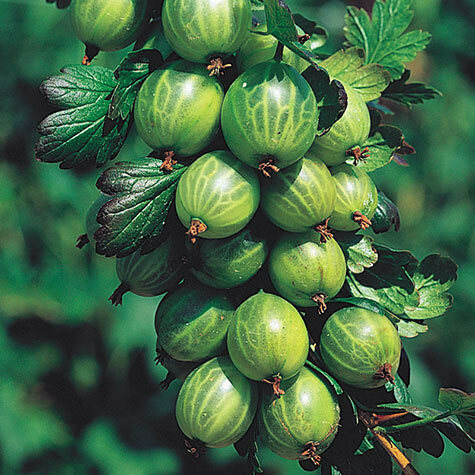 Fruit: 1/2 inch, large, oval, green fruit turns rosy-pink when ripe. Zone: 3 - 6 (-30° F.). Comments: Fruit is soft, juicy, and high in sugar. Rich, pink flesh. Vigorous and productive. Practically thornless. Fruits hang in clusters on long slender stems one inch below the branches and small thorns. Mildew and drought resistant. Good choice as an edible ornamental. 2 year old wood is most productive.